Brute Buck Synthetic is a Synthetic Buck Urine Blend that is so close to Heated Hunt’s Natural Brute Buck Urine Blend the hunter nor can the buck tell the difference. 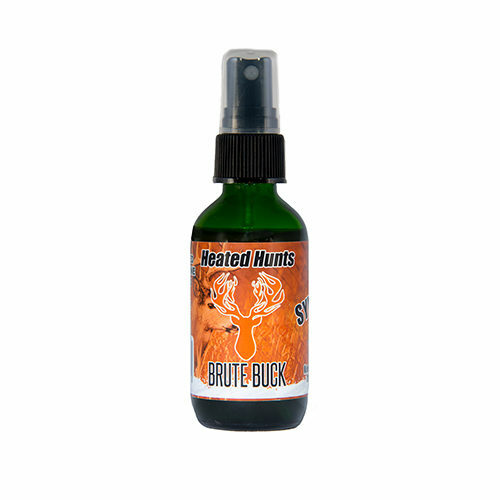 Heated Hunt’s Brute Buck Synthetic is a Master Crafted Synthetic Buck Urine Blend that mimics Tarsal Gland with other Proprietary Additives. Brute Buck Synthetic is the synthetic version of Heated Hunt’s Natural Brute Buck. Note this scent does not contain any traces from a deer but was synthetically engineered. 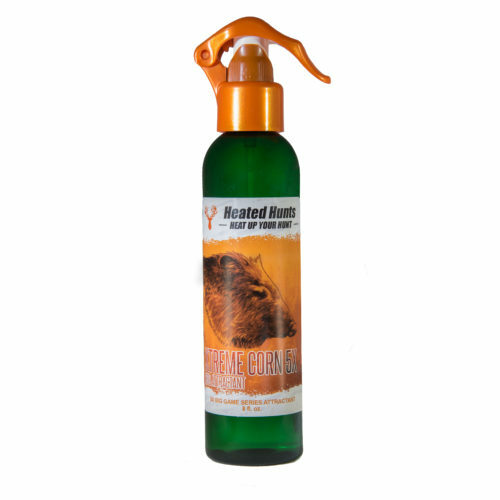 The hunter can simply fill 1 fluid ounce Synthetic Dominant Buck Scent into their Heated Hunts Heated Scent Dispenser. The hunter can spray the Brute Buck Synthetic, a synthetic buck scent, downwind behind them while walking towards their stand, pay attention to the wind. Do not spray Brute Buck Synthetic Urine on your gear, yourself or within 15 yards of your stand. Brute Buck Synthetic Urine is a great buck scent that pairs with grunting and rattling; also mock scrapes too. Note Rattling works best in a higher buck to doe ratio hunting areas. Mock scrapes are easy to make and for the newbies; simply keep moving your mock scrape until you are getting consistent visitors and interactions.